We all know kale is a nutritional power house. It’s packed with vitamins, minerals, fiber, antioxidants and anti-cancer properties. 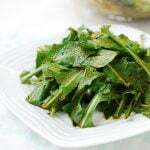 Kale is also great for detoxifying your body and keeping your liver healthy. Are you eating enough kale? To be honest, I wasn’t. Lately, I’ve been trying to fix that by incorporating more of it into my cooking — stir-frying, adding to salads and pizza, and making soups. 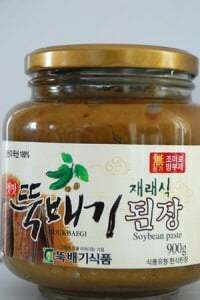 Kale is not a traditional Korean vegetable, but I’ve found the strong earthy flavor of kale works very well with doenjang (Korean fermented soybean paste). Kale is a cold weather vegetable. It’s in season now through early spring. Look for fresh deep colored kale with small to medium leaves and thinner stalks. Smaller kale is tenderer and sweeter. For this kale doenjang soup, I used store bought chicken stock. 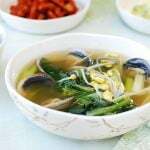 Anchovy broth, beef broth or vegetable broth will be great as well. 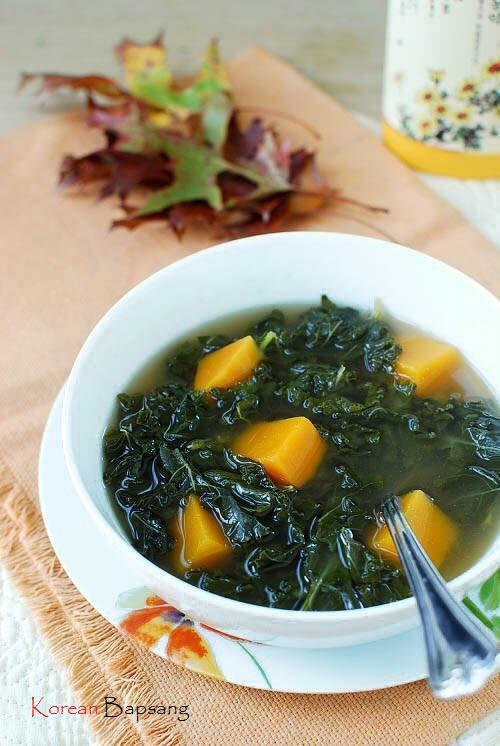 The butternut squash added color and sweetness to the soup, offering a nice contrast to the slightly peppery kale. 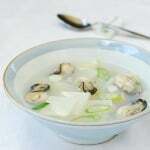 If you like Korean doenjang guk (된장국), this simple soup is a great way to eat more kale. Tear the kale off the stems into small pieces. Discard thick stems. Rinse thoroughly and drain. Peel the butternut squash and cut into about 4/3-inch cubes. Add the chicken stock to a pot. Run the soybean paste through a strainer in the chicken stock. This process helps dissolve the paste easier and catches big chunks of beans remaining in the soybean paste. Add the soup soy sauce to the stock. Add the kale, butternut squash and garlic, and bring it to a boil over high heat. 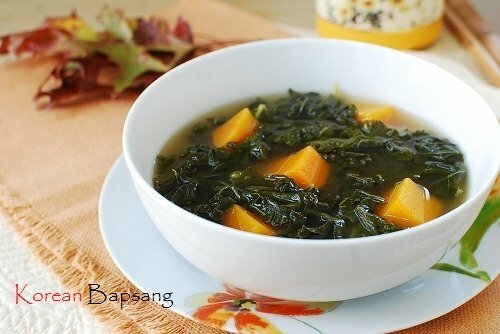 Reduce the heat to medium high and boil until the kale and butternut squash become soft, about 10 minutes. (Boil longer if you like the kale very soft, but add the squash with 10 minutes remaining.) Taste and add salt, if necessary, and pepper to taste. Stir in the vinegar right before turning off the heat. I have been looking for recipes for kale since it is deemed the super vegetable but found salads and I am not a huge fan of raw vegetables. 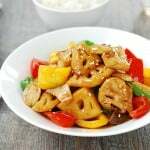 This is a great recipe, thanks for posting. Thank you! I have another kale recipe coming up. Stay tuned! I love kale but just realized that I’ve never used kale for Asian dishes before! 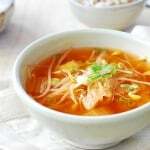 This soup looks wonderful! 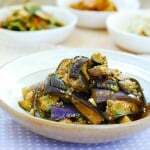 Nami – I’ve been using it in my Korean dishes. Works great! Thanks. I love Kale especially in soups. I can only imagine the flavors when it’s combined with sweet butternut squash and garlic. Very comforting and Delicious soup, definitely trying your recipe soon since I have all the ingredients! By the way beautiful pictures! Hyosun, I definitely do not eat enough kale… I must have had it many years ago in fact. Your soup looks particularly beautiful. Thank you for the inspiration, as always! I’ve had this for 3 days in a row. I have added a bit of ramen noodle just to try, absolutely delicious.